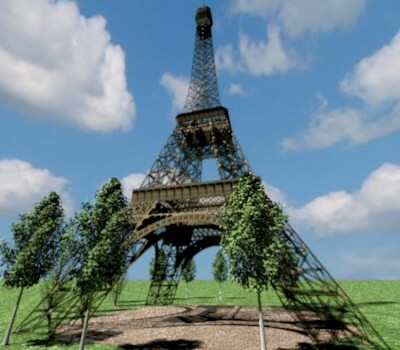 The first Beta of Sweet Home 3D 3.0 is available as a Java Web Start application. As seen at the bottom of the following capture, it integrates the features available in the Advanced rendering plug-in, except glossy and silk rendering options that I'll probably manage in the coming weeks. - The geographic location, the time zone and the North direction are set with the new compass that you can display in the plan as a rose. 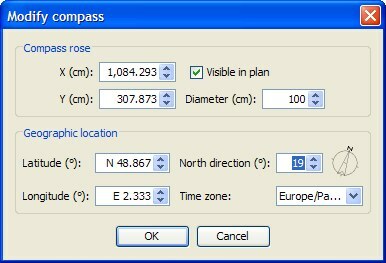 The North direction, the location and the size of this rose can be changed with the mouse or with the Compass dialog displayed by the menu Plan > Modify compass…. This dialog lets you change also the geographic location, the time zone and whether the rose should be displayed or not. - The power of lights can be set in the Furniture dialog with a new Light power spinner. As you can see in the following capture, this dialog layout was reorganized (and will change again to manage glossiness). Hope you like it! Of course setting a light as invisible or setting its power to 0 will turn it off. - A Light source was added to Lights category. 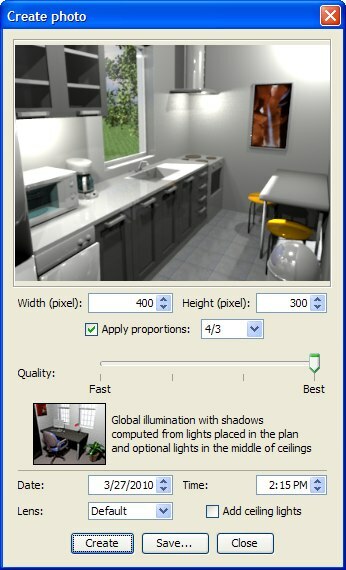 As the additional lights available with the Adavanced rendering plug-in, its 3D model is normally invisible in the 3D view. - The window transparency is now fixed in SunFlow, therefore light can go through any window. - The additional Sun light is always active. If you don't want it, orientate the North of your home differently. - Images created at the third level quality use the same parameters as the ones db4tech uses in his latest releases. - The date/time spinners added to the Video creation dialog let you make vary the time during the video, and therefore the Sun location, as Frédéric did by hand in April. - The navigation in the 3D view in Aerial view mode was improved, and it should work better (sometimes the camera elevation during a zoom was updated a bizarre way). 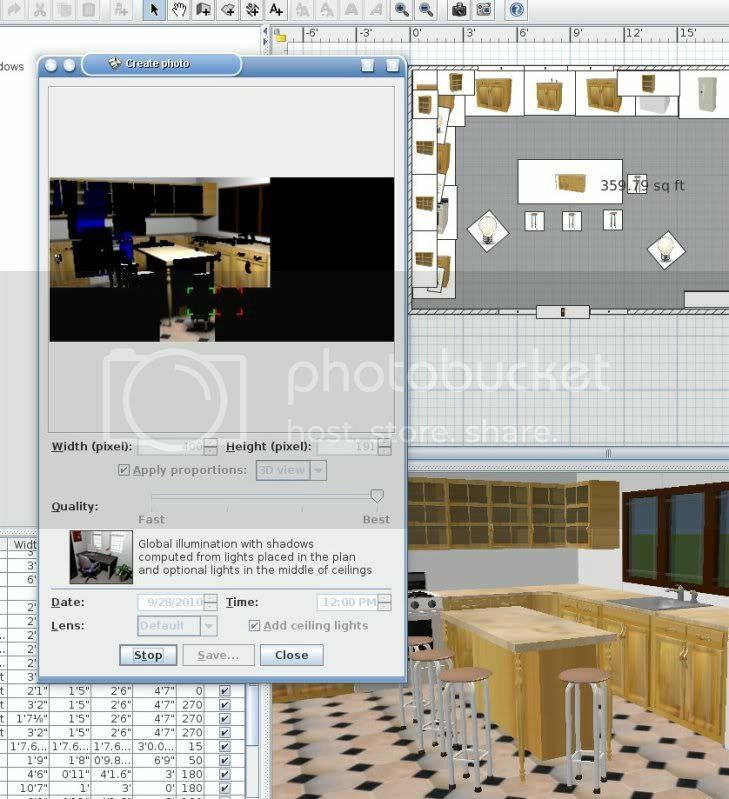 - I finally added the function that deletes automatically outdated temporary files of a given Sweet Home 3D version. Please test this feature by crashing Sweet Home 3D voluntarily and relaunching Sweet Home 3D (old temporary files should be deleted 20 seconds after program relaunch). The temporary files are in the Work subdirectory in Sweet Home 3D private directory. A question: in a new home, the compass rosace is visible and appears at the top left of the plan. Even if many users don't care about the North direction, I felt that displaying the rose by default was the right behavior to be sure people know it exists. They can always move it or hide it if they don't need it. What's your opinion about this? Is the top left corner a good location, knowing that from a computer to another new windows don't have always the same size. Expect more features in the next Beta updates. - The compass rose isn't shown. Make it visible with Plan > Modify compass… menu item. 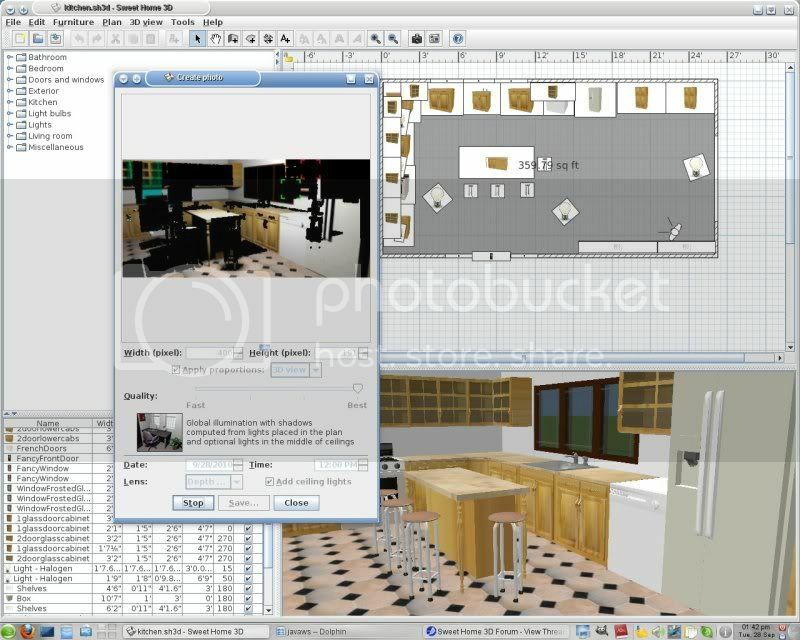 - The values set for lens, date, time, time zone, North direction, latitude, longitude and ceiling lights in the Advanced rendering plug-in aren't used in version 3.0 and you'll have to copy them back if needed. By default, date/time is set to midday today, latitude/longitude are set from your time zone and ceiling lights are turned on. - All existing lights are turned off and the angle set on light sources isn't used for its power level. Adjust the power of each light with the new Light power spinner available in Furniture modification dialog. 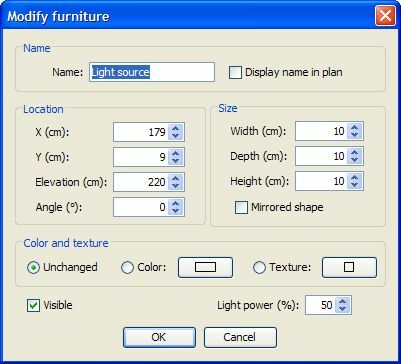 You can edit the power of more than one light at a time by selecting them and choosing Furniture > Modify... menu item. I hope these changes won't bother you too much. Thank you for the first beta of SH3D v3. 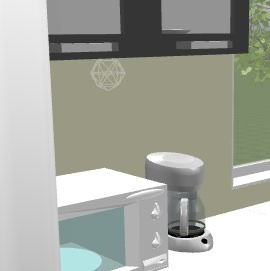 The compass shows when starting a new design, then disappears when loading a model made with a previous version. Unfortunately your solution doesn't work (under Ubuntu 10.04), because nothing happens: no pop-up window or anything. On the side: would it be an idea to move these settings to the Preferences menu? The Plan menu is very long already, even when not counting the additions from the Edit plug-in. Hans, the visibility of the rose may vary from a home file to the other. 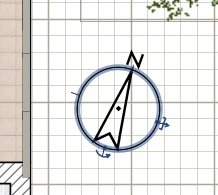 Use Plan > Modify compass… to make it visible or not. Note that it's drawn first in the plan, so it may be hidden by furniture. I won't put compass settings in preferences because a user may want to display the compass at a different location in each home, and the geographic location of a home will generally vary too. - 3D models that use fully opaque PNG textures aren't transparent internally anymore. This should fix a few cases like this one when some transparent objects are in front of each other. - SunFlow now supports transparent textures as the following image shows. The new version does pan in the 3d view much more smooth than 2.6, and I do like the visible compass. Great improvements! But I noticed there are some light issues that I'm not sure are just coming from me being new to the different settings, or if something could be tweaked in the renderers settings... Any of the lighting I made previously, or that I am experimenting with now, seems not to make nice complex shadow and light patterns. The colors of the lights also wash out, or become faded, especially if there is a window in the room. Not being able to turn off the sunlight affects the shadowing to a great degree. Even if I put a night time of day, the darkness doesn't look correct, and there is still a strong shadow. This is from 3.0 and the colors are much harder to see. I also had to remove the windows (I removed the windows from both version to make a fair comparison) I had in the room, or the light coming from the windows overpowered the small lights. I know there isn't much of a difference between the two, but the color reflecting from the wall is what I was going to use in a couple of scenes I was working on. So I was just wondering if there are some settings that I could change myself? Thanks for all your work to make this software! And transparent textures are going to be a fun addition! The lights in the second image look brighter. Did you try to reduce their power? I forgot to mention an other change that may change the rendering: the size of the light has an effect only on the new Light source added to the catalog. I will have to create a new SH3F lights file to make this feature available in the other lights too (at this moment, they will always have a 6.5 cm diameter). I don't understand the problem you have with light coming through windows at night time. Do you use a bright texture in the sky? Do you still experience some problems if you use a color for the sky? Other than that, the new SH3D seems to work a little sluggishly but ok (My system is using the iced tea version of java by default). The compass rose is so huge when SH3D starts though. I have to keep modifying it to 24 inches to make it smaller. I found where the sun java webstart executable is located so I tried it again using that version but I got the same results with the Advanced Photo plugin but the compass rose looked a lot better. I hope you can see this but, there's a weird color to them (blue and green). The lights I had used were the normal yellow color. The lights are still very bright, but the light from the window is lessened. But there still is a strong shadow outside the window. And I get more black spots with the window added for some reason? I have a dark grey texture added to the sky. Pencilart, I also can not get the advanced renderer to work in the new 3.0, ( I get the same message) I am working with the built in renderer. The compass rose is so huge when SH3D starts though. Isn't it 3 feet / 1 meter wide? Does anybody else experience this problem? It is set to 39.37 inches (3' 3 3/8"). In the Iced Tea version of Java it has an ugly looking thick ring around it that goes away when i resize it. Like I said, with the Sun javaws, it looks fine. P.S. in the Sun javaws, SH3D is much more responsive than with the Iced Tea version. Hopefully, my browser will now use the Sun version all the time.